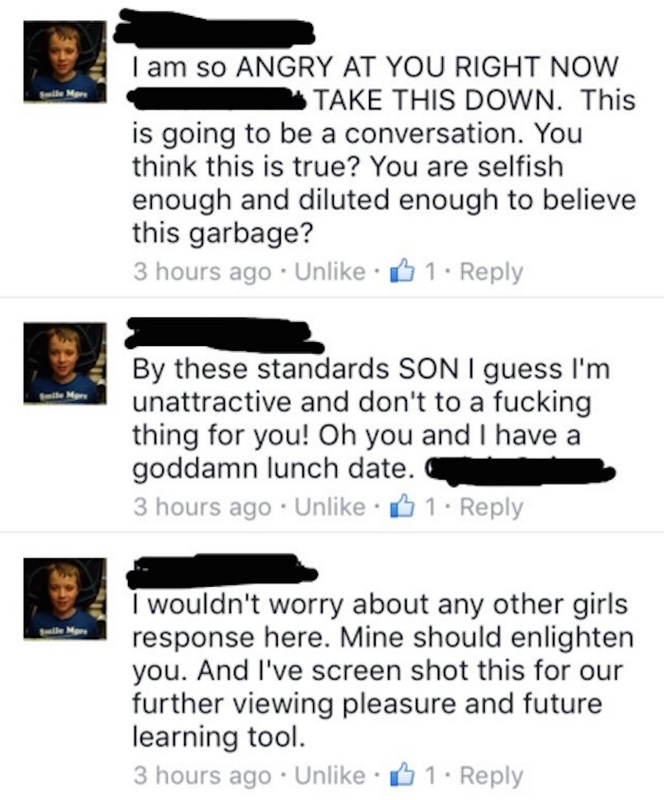 Guy shares sexist meme on Facebook, gets taken down by the perfect person: his mom. 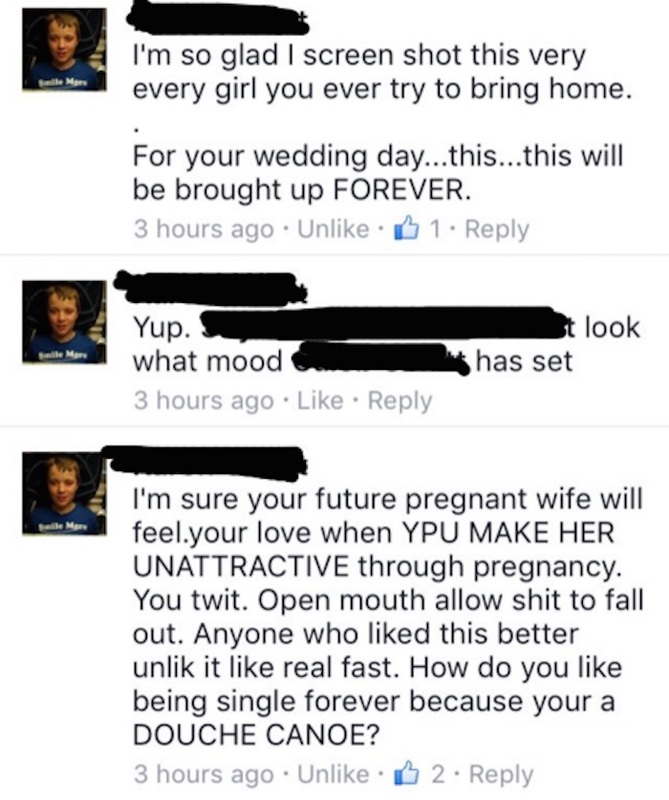 A "men's rights" supporter apparently got a rude awakening when he posted a sexist meme on Facebook—only to get smacked down by his mom. It's a warning to all the countless sexist assholes who like to share their ideas on social media: mommy may be watching. The sexist post in question was apparently this (totally befuddling) image shared on the Facebook page "Meninist." 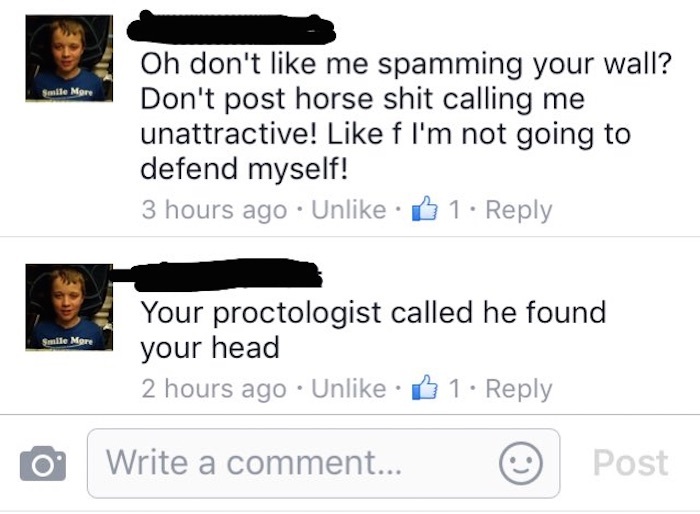 "Your proctologist called he found your head" is a CLASSIC Facebook mom insult. Still, the whole exchange is so over-the-top that it's kind of hard to believe it actually happened, right? That's the Internet for you.